The task of buying a DSLR camera for the first time can seem a bit overwhelming. They come with a list of features a mile long and range in price from $450 to $10,000. One retailer lists no less than 286 models made by six different manufacturers. It is very difficult for a novice to choose. My passion for photography started with an evening class at a local adult learning center. There all of us newbie photographers sat with our fancy cameras. The gentleman next to me placed his $5000 Nikon next to my $500 Pentax. He was going on a Caribbean diving trip. Can you say CAMERA ENVY? Neither he nor I had any idea why his camera was better (although it certainly was). We just knew it was bigger and more expensive. I have since moved on to a Canon 5D II with L-series lenses. If that means nothing to you keep reading. It certainly didn’t mean a thing to me starting out. That cheap little Pentax taught me what to look for in a camera. It did everything a beginner could want, and over time, showed me why expensive cameras can be better through its limitations. Here are some things you should consider when shopping for a DSLR. 1) Do I even need a DSLR? If all you want is to take nice pictures of your family, or snapshots of a vacation, a nice point and shoot is hard to beat. I know somebody who took pictures of Rome with a $200 camera. I swear you could publish a calendar with those shots. If you don’t have time to learn how to use a DSLR camera and its advanced features it will just get put on auto settings. A DSLR exclusively on auto settings is an expensive and extremely bulky point and shoot camera. The true power of a digital SLR camera is in the photographer who knows how to use it. Space is an issue as well. Any time I take my digital SLR camera on a trip it always counts as one of my carry-on bags. A point and shoot fits in a purse. My first digital SLR camera was a Pentax. Why did I buy it? The simple answer is lenses. I had two Pentax lenses from my 35mm film camera. With a $500 investment in a camera body I already had 100-300mm and 35-80mm zoom lenses. This worked great until I wanted to upgrade lenses. Pentax limited me. Sorry Pentax fans. They do make some pretty good stuff. The two giants in the industry are Canon and Nikon. Why? The simple answer is once again lenses. Canon and Nikon have the widest variety of lenses. Both manufacture expensive lenses geared toward more serious photographers as well as lower quality lenses marketed toward the average consumer. Also, companies such as Bower, Sigma, and Tamron manufacture a large selection of compatible lenses. So is either Canon or Nikon better? For every photographer that swears by Nikon there is another who proclaims Canon supremacy. It’s the same thing with trucks. Line up 100 farmers and ask Ford vs. Chevy. It’s the same with Canon vs. Nikon. Neither company makes a bad camera. Even their cheapest models take great pictures. Just make sure to pick the brand you plan on sticking with. Once you get several thousand dollars invested in lenses it certainly makes you reluctant to switch in the future. I took a class from a photographer who preached Canon or Nikon. One day I asked him why he was using a Fuji Camera. He said he had $50,000 worth of Fuji lenses dating back 30 years. 3) How much should I Spend? When starting out I would recommend spending more on lenses and less on camera bodies. The simple fact is a camera is no better than the image a lens projects on its sensor. Well cared for lenses can last forever. Many a photographer has a 20 year old lens on their brand new camera. 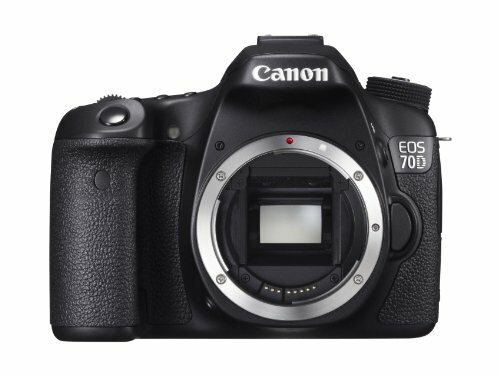 For example, the Canon EOS 70D DSLR camera is retailing for about $1200 while the Canon EOS 1-D X costs $6800. Is there a difference? Absolutely! But that $5,600 difference is money that could be put in Canon L-series lenses (professional lenses). Also, your photography is getting very advanced if you outgrow a $1200-$2000 camera. So how low can you go? Canon makes cameras that take wonderful pictures for as low as $500 in their Rebel Series. They do not however have the same lens mount as more expensive models so you have to decide how serious your hobby may become. When given the same lenses more expensive cameras can be superior for multiple reasons. First and most important to me is light sensitivity. Remember my cheap little Pentax. It took spectacular pictures as long as there was plenty of light. In lower light situations a phenomenon known as NOISE shows up as little specks all over the image. With my Canon 5D II I can use much faster shutter speeds in significantly darker conditions without noise. This is important for stopping fast moving action on cloudy days or as the sun goes down. It is also helpful taking pictures indoors. Expensive cameras may shoot more frames per second. The $1,200 Canon EOS 70D can continuously take 7 pictures per second while the $6800 Canon EOS 1-D X can take 14. This difference matters to sports and wildlife photographers. My Canon 5d II only shoots 3.9 frames per second. More expensive cameras may also take pictures continuously for a longer period of time. If durability is a concern you may consider investing more in your camera. Higher end cameras with metal doors and magnesium alloy bodies can take more abuse than less expensive models. More expensive models may or may not have features that are important to you. It just depends on what you are looking for. One feature worth noting on a digital SLR camera is the shutter cycle rating. Depending on the camera it could be 100,000 or 400,000 cycles. 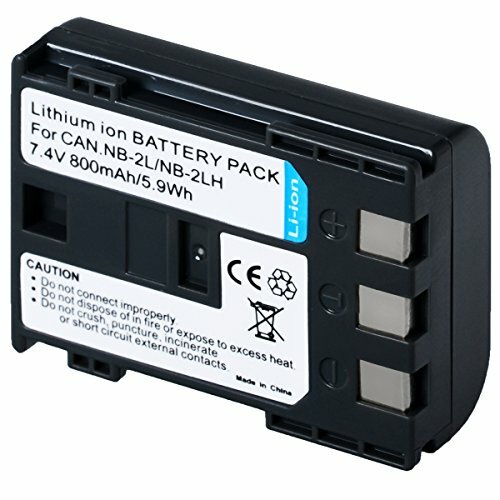 Another quality to look for in a camera is the ISO range. Every camera is rated to take pictures from an ISO of 200 (good with plenty of light) to an ISO of at least 6400 (needed for low light conditions). Some go much higher. High ISO ranges do not necessarily mean quality images in low light. My cheaper camera can’t take quality pictures at an ISO of 800 but my expensive camera can take decent shots at an ISO of 2000. This is due to more advanced sensors and image processors. Ask multiple sources about the ISO performance of a particular camera before making a purchase. Sensor size is important to some camera enthusiasts. Some models come with a full-frame sensor while others have cropped sensors. An image sensor is the piece of hardware in a camera that light hits to record an image. Full-frame sensors are the same size as the piece of film exposed to light on a 35mm camera. Cropped sensors can be as small as a fingernail. I personally prefer the full frame sensor because it is great for cropping pieces of photos or creating enlargements of landscapes. The LCD screen size on the camera back can also be important. The difference between a 2.7” screen and a 3.2” screen sounds small but is actually very noticeable.